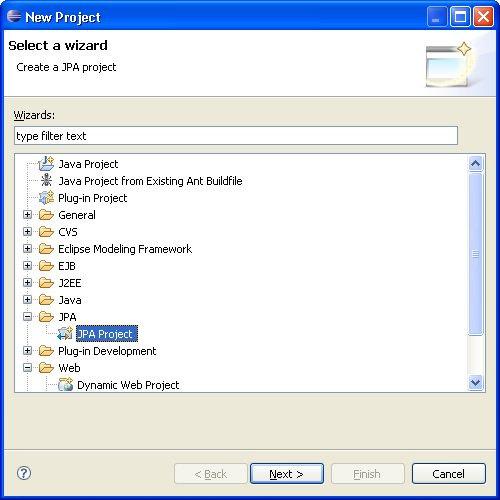 New Project configuration options have been added for M7 including the ability to choose between a server runtime implementation or a user defined implementation library. 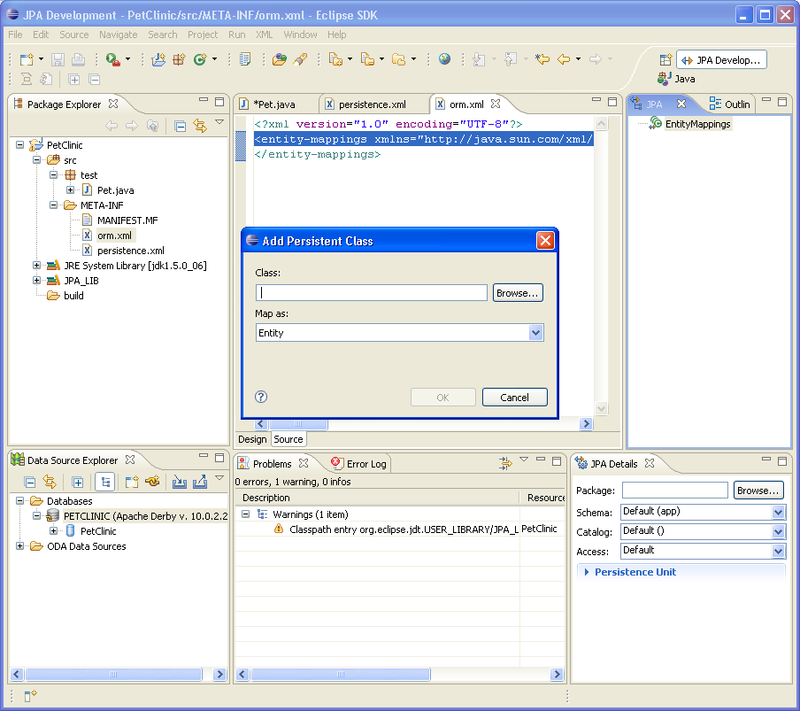 Also included is a Persistent Class Management section which controls how Dali handles the inclusion of Entities in a Persistent Unit. In general, if you are using a container that supports discovering Entities then you can select the "Discover annotated classes automatically". 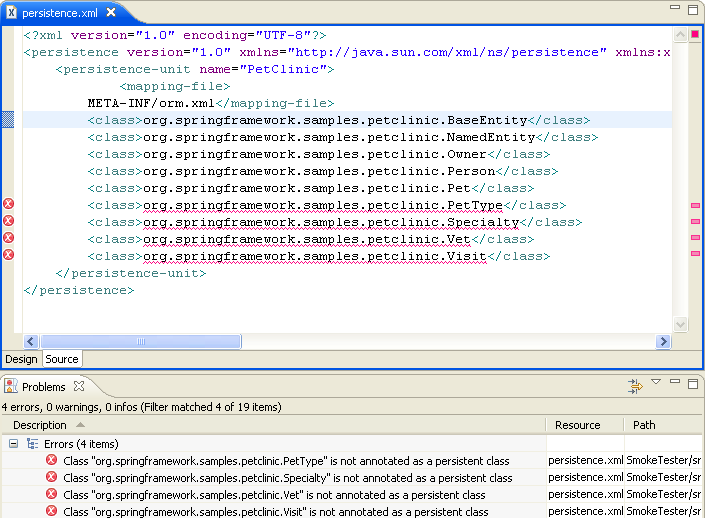 If you are outside the container, you can choose, Annotated classes must be listed in persistence.xml". This is the safest option if you are not sure which is right, since it should work for both cases. 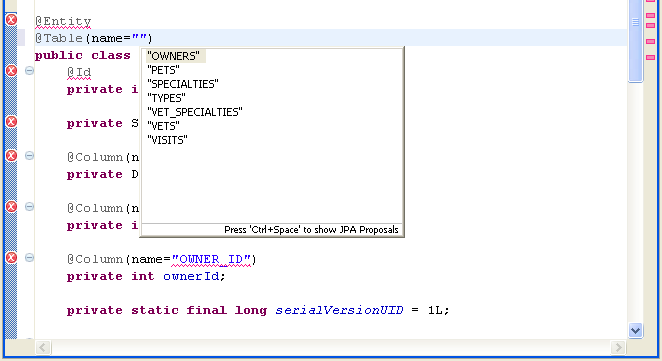 The ability to use code complete inside JPA Annotations has been added in M7. 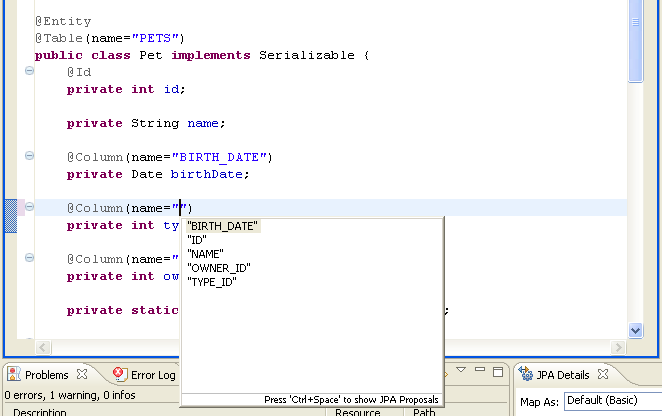 This functionality works for most places where table and column names are specified in annotations, as well as choices for mappedBy. 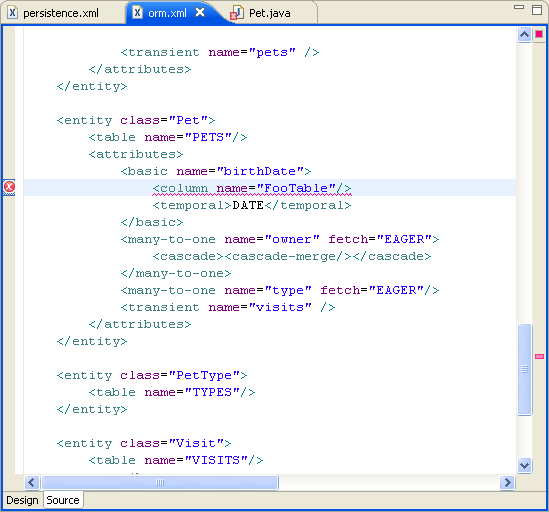 The ability to add Persistent Types (Entities, etc) to the ORM XML has been added in this milestone. In addition, the ability to add non-default mappings has also been added. 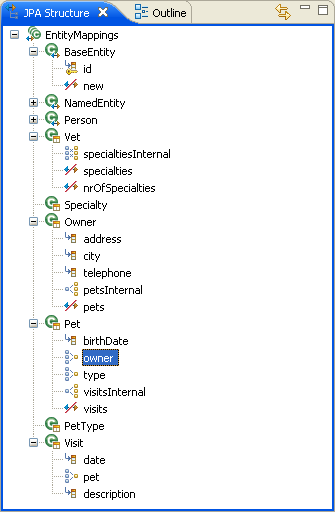 Right-click in the JPA Structure view tree to see these options. 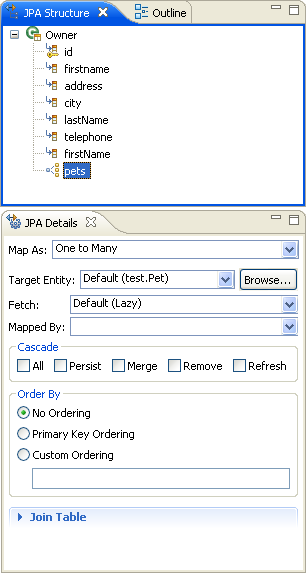 New mapping options have been added, including support for cascade on appropriate mapping types. In addition to the new options, the UI forms have been refined. 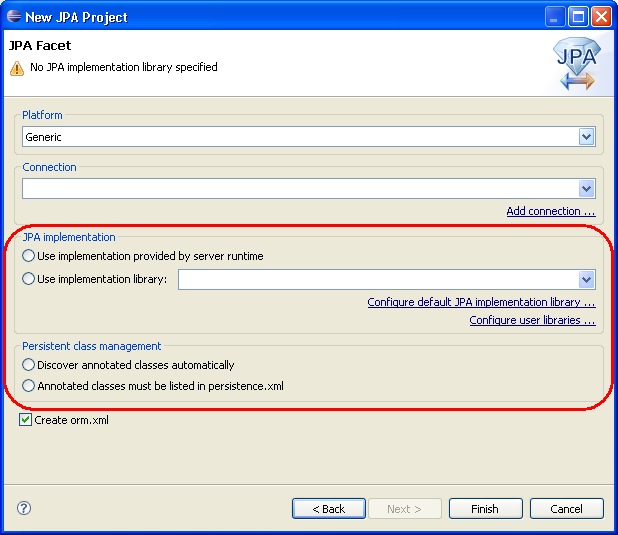 New Project configuration options have been added for M6 such as the ability to add a JPA User Library to your project. 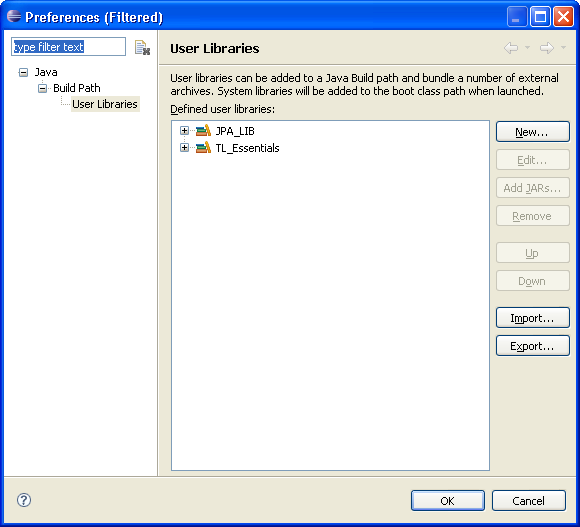 General validation has been added for Java Source and ORM XML Descriptor. 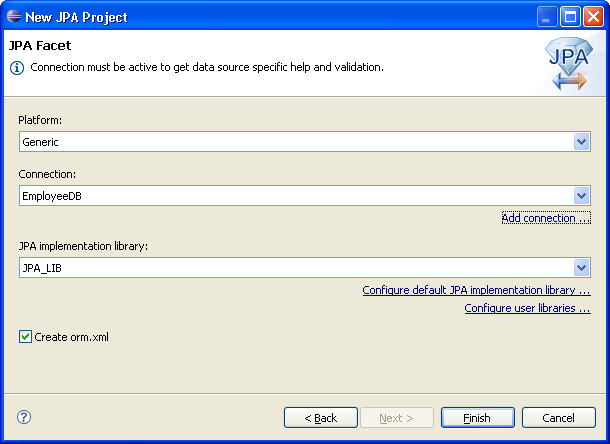 Validation has been updated for the persistence.xml file. XML Descriptor support has been added to the UI and model. 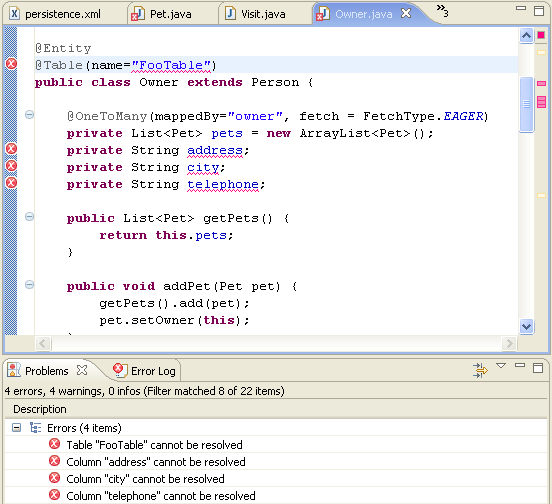 It behaves just like the Java Annotation UI, but also includes XML only properties. 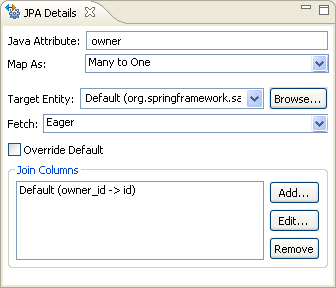 Both of these artifact types are configured in the same JPA Details view.